We know that students from the EU want to know what Brexit means for their study plans. Remember that you are still very welcome to study with us here! Students from overseas, including from the EU, are an important part of the Middlesex community studying at our campus in London. When will immigration changes happen? The immigration status of EU citizens is unlikely to change in immediate future so your ability to visit, study or work in the UK will remain the same as now. That's because the process of the UK leaving the EU is managed under Article 50 of the EU’s Lisbon Treaty. The treaty foresees a period of approximately two years, or possibly longer, for a country to negotiate its exit from the Union. Any changes to your rights will not likely take effect until after the process is concluded. The UK has not formally started this process yet. We have a team of visa and immigration advisors on hand to answer your questions or concerns. There are no changes here. 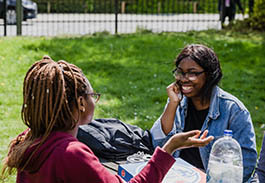 If you're applying to courses starting in the 2019–20 academic year then you will continue to pay the same fees as UK students (free tuition in the case of Scotland) and you'll be eligible to receive loans and grants to fund your studies for the full duration of your course in England, Wales and Scotland. This will be the case even if the course finishes after the UK has left the EU. Applications will be assessed against existing eligibility criteria, and loans and / or grants will be provided in the usual way. You can defer your offer. There are no changes to fees and loans for September 2020. You are still able to transfer to our London campus if your course allows this. 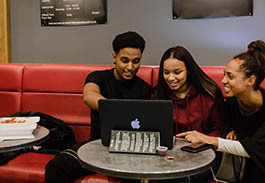 As a transfer student, there will be no change in your fees or funding from Student Finance England before September 2019. The fees that EU students starting courses at UK universities after the UK has left the EU are required to pay and their entitlement to loans will depend on what is agreed as part of the UK’s exit negotiations. Middlesex will continue to highlight the value of EU students to UK higher education and to British students during these negotiations. Head to Unihub for an update on what Brexit means if you are already studying with us.